“The question as to whether you will succeed or fail in your life is determined by your ability to ask yourself the right questions,” observes Dr. Petra Bock. In her latest book, the title of which translates into “100 Questions About Your Life,” she asks the concise questions that will move you forward. This book will take you on a journey through your life, wishes and true goals like a life coach. managementbuch.de recommends it as a helpful read for those interested in re-orientation. This Life Coaching exercise book asks the questions that can change your life forever from the ground up. 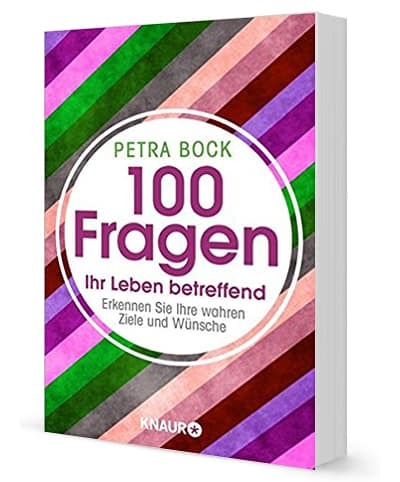 Life goals, questions that make you rethink the meaning of life, self-recognition – Petra Bock, one of Germany’s most influential coaches, confronts each and every one with the important topics.